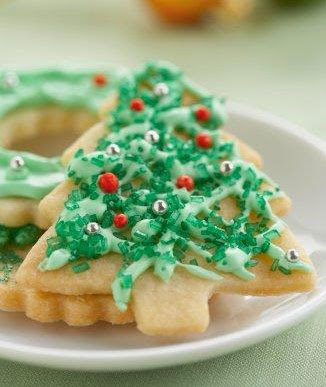 Sugar cookies are an absolute Christmas staple. After we posted yesterday's sugar cookie recipe, we had a thought: some people just aren't great bakers. There are those with green thumbs for gardening, and those with golden thumbs for baking. Some of us don't have either. Even for those of that can bake pretty well, icing our cookies can prove to be a fairly tedious task. They look beautiful when they're done, but actually icing them piece by piece can be quite a production! However, we found a video that details how it's done! Simply click the link below, and get decorating!